Whether you are at home or at your workplace the following ergonomic safety tips will help reduce your chances of injury while working at your computer. Choose a padded chair that is adjustable, strong and stable. Set it at the proper height for you, adjusting it to the length of your legs and the height of your computer desk or work area. 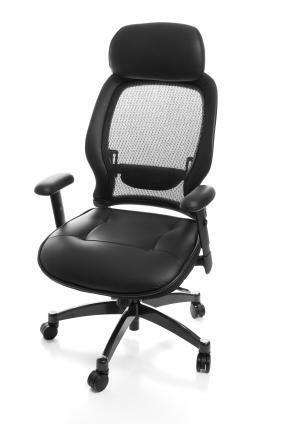 The chair should have good support for your upper and lower back that is comfortable. Your monitor should be positioned at your eye level or slightly below to reduce neck strain. Position the monitor to avoid glare which results in eye strain. Position your keyboard slightly lower than your desk and slightly in front of you. Avoid putting constant pressure on your wrists when using your keyboard or your mouse. Sit up straight with good posture and feet flat on the floor. Allow room for you to stretch your legs. Choose ergonomic products such as an office chair, computer keyboard and mouse. Arranging work areas so that you do not have to overstretch. Keep the things that you use most often within reach and below shoulder height. Using tools that are made to fit the size of your hand. The United States Department of Labor Occupational Safety and Health Administration (OSHA) provides specific ergonomic safety guidelines for workers in shipyards, poultry processing plants, meatpacking plants, retail grocery stores, and nursing homes. Generally ergonomic safety concerns center on the workplace. However, it is very important that parents, teachers and child care workers are aware of how children work at computers. In many instances, children are working and playing on computers designed and set up for adults. They are constantly looking up to monitors, stretching to reach the keyboard and mouse while often sitting or kneeling in awkward positions. With the proper chair adjustments, a footstool for leg support and other simple adaptations, a child can sit at a computer in a safe and comfortable position.